I'm writing this close to a month after wrapping up this feature, but having at least passingly indicated off-hand that I might have an idea what kind of stand I'd want to have, it seems like at least a few people have been anticipating a post on the subject. Having learned the ins and outs of them over the course of 31 reviews, I think I might understand enough to really flesh one out myself, and I actually kinda knew exactly what I'd want it to be almost as quickly as the question crossed my mind. In real life, I wear a cargo vest everywhere I go, with about a dozen pockets stuffed full of both useful and plain sentimental or interesting doo-dads, including at least a few small containers for the safe transportation of live insects, spiders, millipedes or snails I might run across and want to take home. 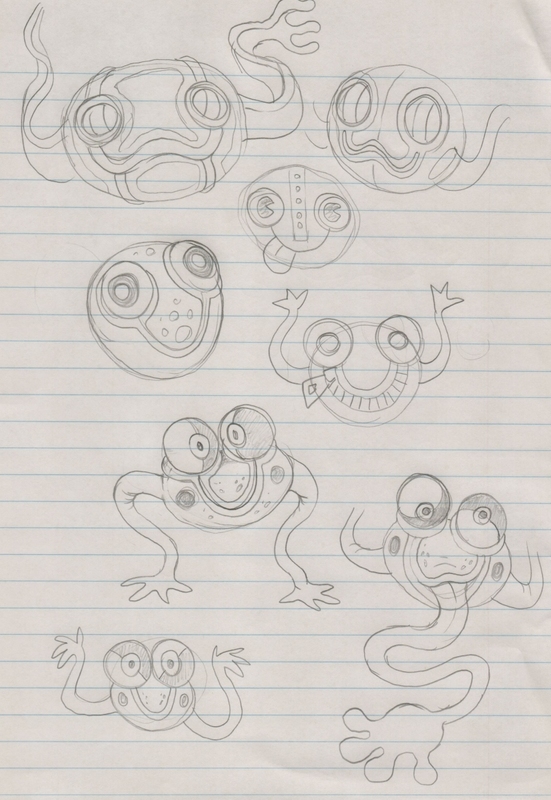 So, a pocket or pouch-like creature was my very first thought, and insect-based powers were a given, so a pouch creature modeled after a frog seemed like a perfect fit. This evolved almost immediately into a "fanny pack" frog creature, or "bum bag" if you live in one of those countries where "fanny" isn't as G-rated a term, and I thought its tongue would look like one of those swell rubber vending machine sticky hands because that's also just the kind of junk I end up carrying on my person. 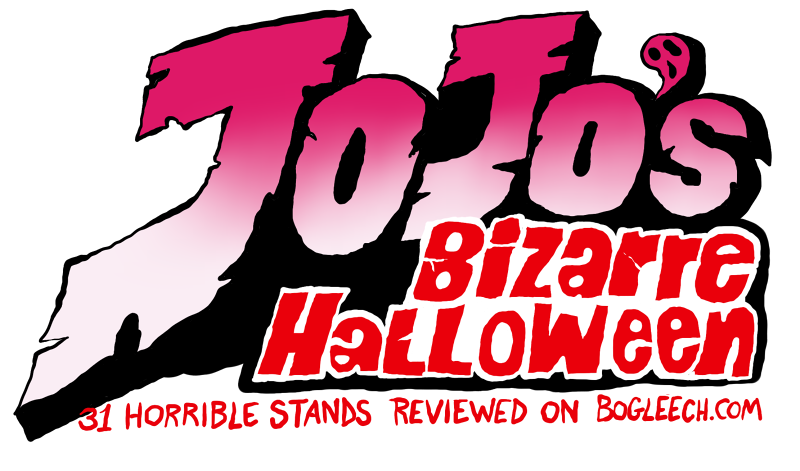 There's also the important issue of this stand's name. 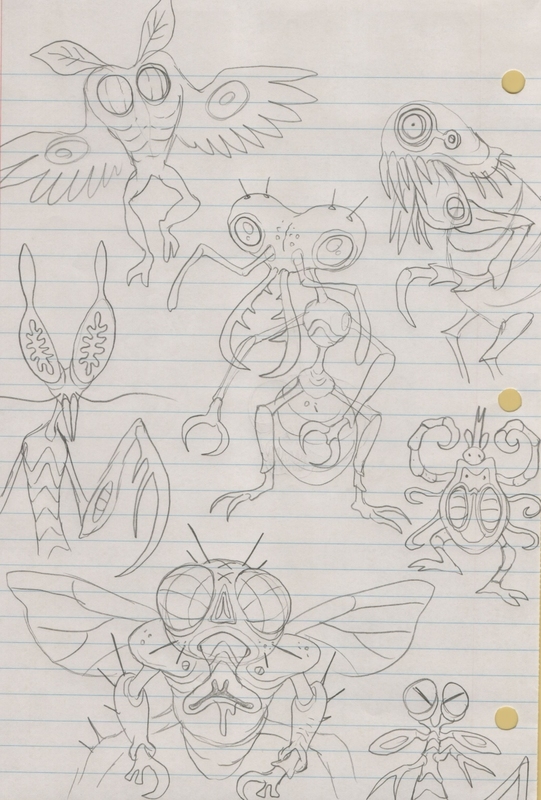 Its powers, spoiler alert, are going to be insect-themed, and I know not every stand name has to make sense, but I want to at least make an effort here, and we also know that under current Jojo reasoning, it would probably be named after a Western musician or rock song. I also want to LIKE whatever I name it after, so I'm afraid The Beatles are already off the table. The number of buggy band names and tracks is kind of slim picking from there, but there is at least a song called Creepy Crawling from the 90's that has an alright tune, and that's good enough for me. So, Creepy Crawling itself wouldn't have any sentience or combat ability, but like a much less horrible Baby Face, it would have the capacity to generate secondary, autonomous, hybrid stand-creatures obedient to its user. In this case, these beings would originate as ordinary insects, crustaceans and other arthropods the stand has snatched up in its tongue, transformed, and added to permanent storage in a safe, cozy little pocket dimension. Every one of these stand-bugs would have an appropriate power. Millipedes with toxic gas, butterflies with hypnotic wings, mole crickets that can tunnel through anything, whatever makes sense. None of them would be especially dangerous or powerful individually, but their number would be limited only by the number of different species Creepy Crawling has ever swallowed, and a stand-bug sustaining too much injury could be recalled and eventually rejuvenated, possibly by the stand ingesting additional food material. So, yes, my ideal stand would just combine insect collecting with pokemon, which itself was already based on insect collecting, so my ideal stand would just be pokemon, sorry. ...Are the frog thing's pokeball-looking eyes too on the nose?